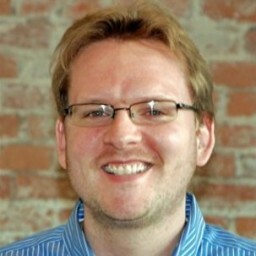 Scott Dodge is the Sr SEO Manager at Ovative/group, a digital marketing and measurement agency in Minneapolis. With over four years of agency-side SEO experience, he’s worked on everything from small mom-and-pops to Fortune 50 websites. He currently focuses most of his efforts on developing strong foundations via process-driven situational analyses, allowing all that pretty content to work harder for clients. This usually involves solving large-scale technical SEO problems, which can seriously be a hoot and a half, if not a hoot and three-quarters. Come say hi at the next event, and follow me on Twitter in the meantime where I tweet like a nerd! Scott has been involved with MNSearch since the very beginning as a founding member, and recently joins us as the Director of Programming. He has spoken at many events on subjects ranging from Local SEO to Content Strategy, and hopes to exploit his newfound responsibility of controlling subject matter and speakers for his own selfish personal gain.